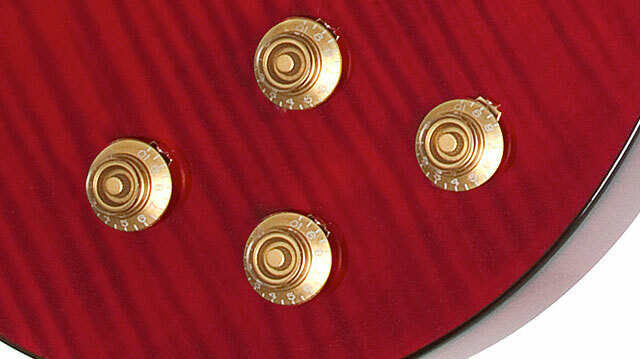 Debut signature model by “Monster” of Mayday featuring Gibson Burstbuckers! Epiphone proudly presents the Ltd. Ed. “Mayday Monster” Les Paul Standard Outfit, the debut signature model by “Monster” lead guitarist of the hit alternative rock group Mayday from Taiwan. Featuring Gibson USA Burstbucker™ Zebra Coil pickups, a custom “Mayday Monster” hardshell case, a signed Certificate of Authenticity, and all the classic Les Paul appointments and exclusively available only in China and the SEA. Epiphone welcomes “Monster” (Wen Shang Yi) to the House of Stathopoulo’s elite group of signature artists. 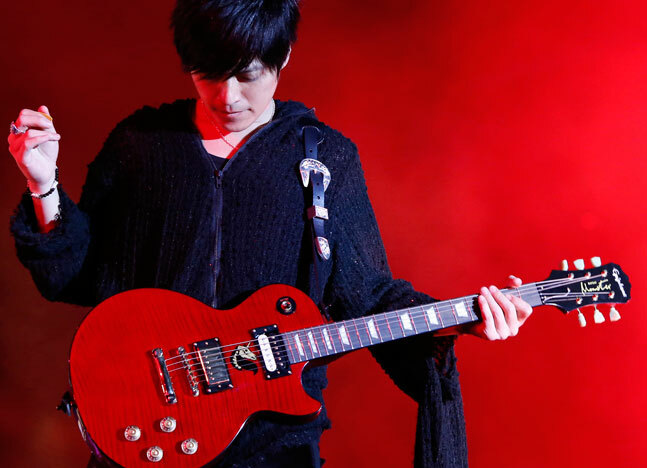 Monster formed Mayday in Taiwan in 1997 and has led the band to four Golden Melody Awards for Best Band thanks to his exciting blues-based solos. Mayday is known throughout China as the King of Concert and the incredible lead guitar playing of Monster has led the band all the way. Now, Monster and Epiphone have worked together to create the ultimate Ltd. Ed. Mayday Monster Les Paul available exclusively in China and SEA. The Ltd. Ed. “Mayday Monster” Les Paul Standard Outfit features a Mahogany body with an “AAA” Flame Maple Veneer finished in custom Mayday Monster Red with black binding and Monster’s iconic Unicorn graphic in gold and white between two Gibson Burstbucker pickups. 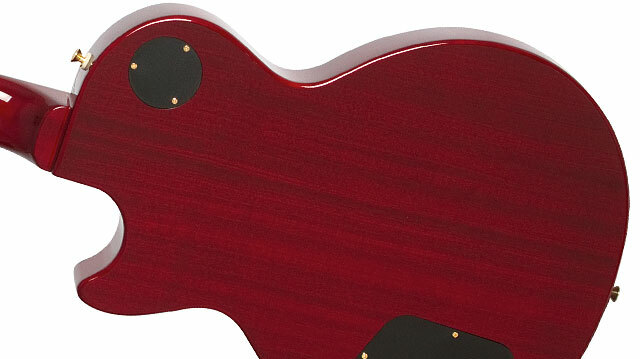 The Mahogany neck has 12” radius, black binding, an adjustable truss rod, and a 1960 SlimTaperTM Rounded D profile that’s modeled after the best vintage Les Pauls. The neck is attached to the body in a deep set neck joint and hand glued. The fingerboard has pearloid trapezoid inlays and 22 medium jumbo frets. The 1 11/16” graphite nut ensures no string hang-ups and the classic Epiphone headstock has Monster’s signature in gold. The Ltd. Ed. “Mayday Monster” Les Paul Standard Outfit features legendary Gibson USA Burstbucker™ pickups with a Zebra-coil (cream and black) Burstbucker-2 in the neck position and a Zebra-coil Burstbucker-3 (cream and black) in the lead position. There’s no better match-up than a Les Paul with humbuckers and just like the originals, each Gibson USA Burstbucker humbucker has its own individual “voice” so players can develop their own personal tone and style. The original humbucker was first invented and perfected at the Gibson/Epiphone factory in Kalamazoo, Michigan in the mid 1950s and has since become a prized collector’s item. Now with Burstbuckers and a Mayday Monster Les Paul, anyone can have that classic Les Paul tone. Controls for the Ltd. Ed. 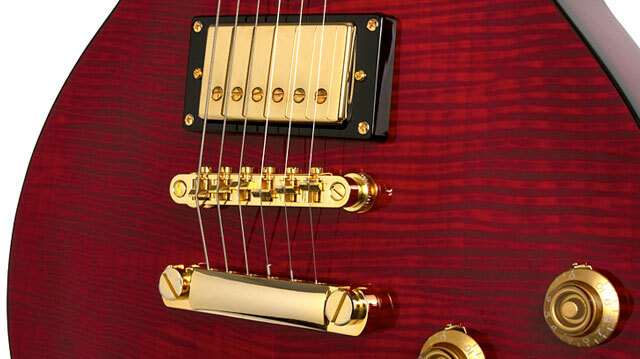 “Mayday Monster” Les Paul Standard Outfit feature Gold “Top Hat” knobs for bridge and neck volume and tone. Epiphone's patent-applied-for LockTone™ Tune-o-matic bridge and Stopbar tailpiece along with premium Epiphone Deluxe machine heads with an 18:1 tuning ratio make set-up and intonation fast, easy, and rock solid. And, “Monster’s” Les Paul comes with Epiphone standard solid gold plated Nickel hardware, an Epiphone non-rotating ¼” output jack, and Epiphone StrapLocks. The Ltd. Ed. 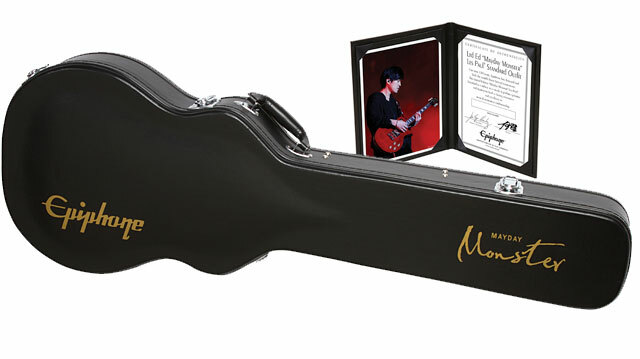 “Mayday Monster” Les Paul Standard Outfit comes with a Custom “Mayday Monster” hardshell case and a hand-signed Certificate of Authenticity by Monster himself.